Great opportunity to own this incredibly affordable and very nicely updated home! One of the largest lots in the subdivision at almost 10,000 square feet. Updated kitchen and bathrooms. Large diagonal tile throughout the house. Updated fixtures and fans. Security shade screens on the back of the home. Refrigerator and dishwasher are newer. Refrigerator, washer and dryer convey as is. 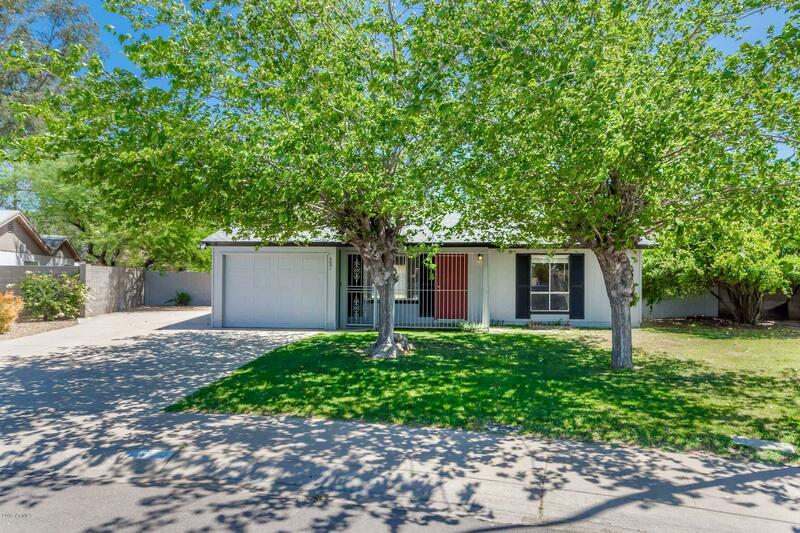 Great Tempe location close to freeways and so much more. Tempe school district.